Do you mean this press release? I keep image of the translation hence it was not possible to send it. So, I think, the coin will be issued in 2018. 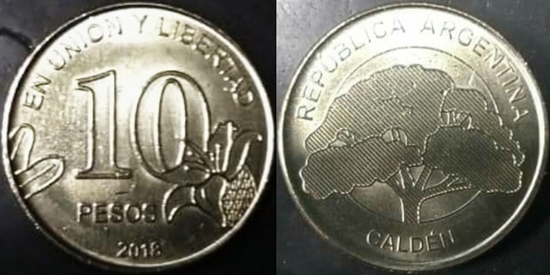 "The monetary cone will be completed during 2018 with the appearance of the 2 and 10 peso coins." The Designs were already shown by Jostein in reply#9. It has been indicated that there is rethinking on issue of 2 and 10 Peso coins, in view of conspicous fall in value of Argentine Peso. Perhaps a higher face value coin may make an appearance, once the rates stabilise. The image you refer to is not visible for me. I have to disagree. I think it's a wonderful bank note series. Okay, the vertical design is not everyone's cup of tea. Still, great designs for all denominations.